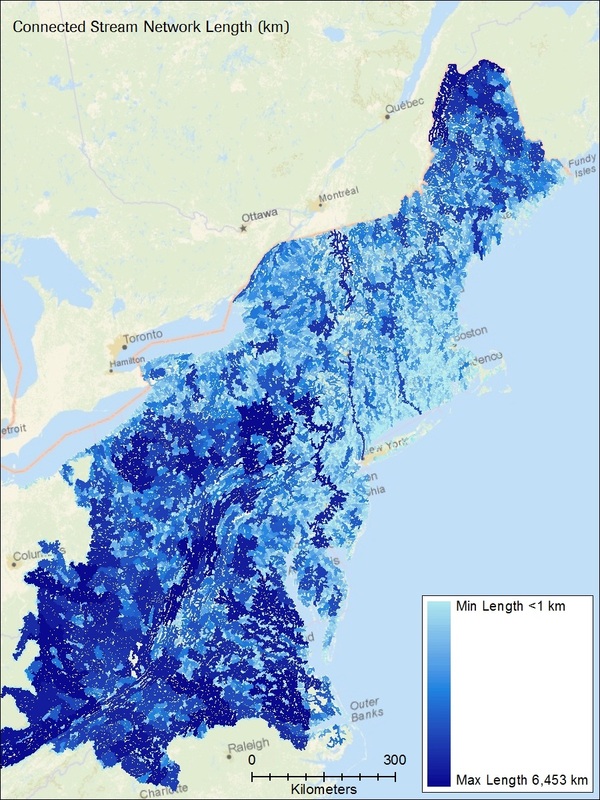 The Northeast Aquatic Connectivity Project (NAC) has resulted in a set of valuable outcomes that will assist resource agencies in the Northeastern U.S. to strategically reconnect fragmented aquatic habitats by targeting removal or bypass of key barriers to fish passage. The NAC has worked to make future connectivity restoration projects more efficient by providing the regional information to allow strategic selection of projects most likely to produce ecological benefits. • delivered an extensive set of outputs on the relative ecological benefits to anadromous and resident fish from barrier mitigation that can be used to inform river restoration decision-making at the dam or river network scale. The final report and appendices are complete and provided below. 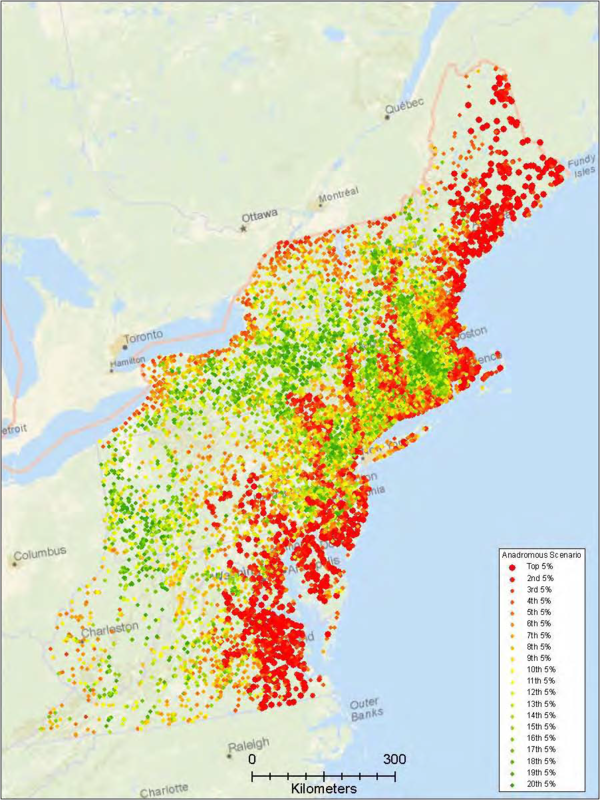 The results spreadsheet and connectivity tool (NCAT) have been reviewed and finalized by WMI and NEAFWA. This includes the calculation of over 60 ecological metrics for each dam in the NEAFWA region using final scoring and weighting procedures, and the finalization of the NEAFWA Connectivity dam, waterfall and anadromous fish database. 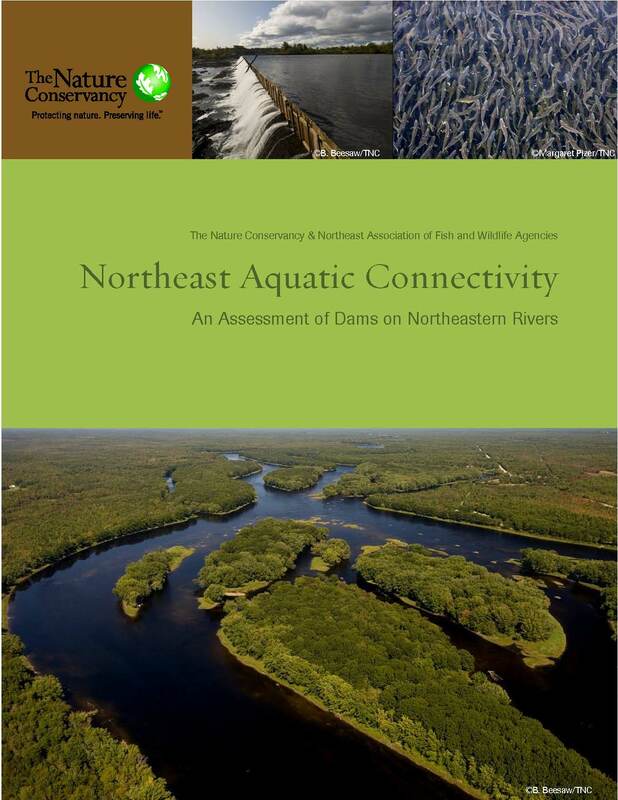 For access to the tabular results & NCAT custom assessment tool, please contact emartin@tnc.org with "NE Aquatic Connectivity Results" in the subject line.